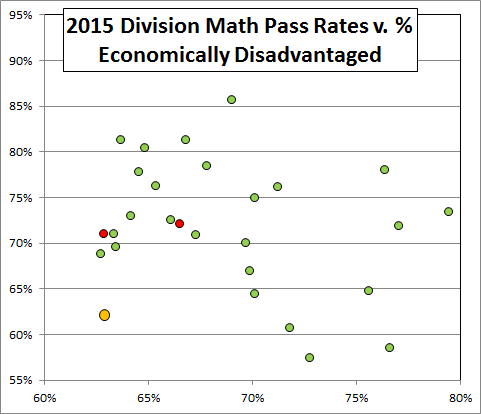 I earlier showed that Richmond’s dismal pass rates on the reading and math SOLs are not explained by Richmond’s large population of economically disadvantaged students. 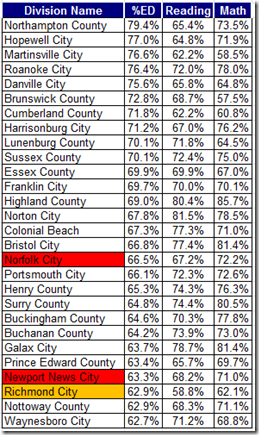 The gold points are Richmond; the red are Newport News, on the left, and Norfolk. 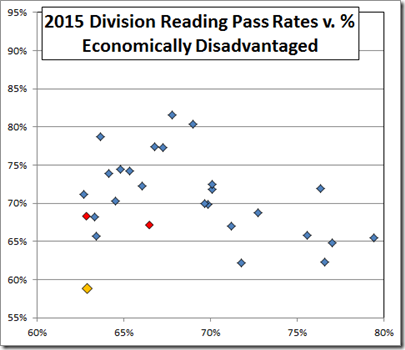 The high performer there on reading is Norton; high score on math is Highland. 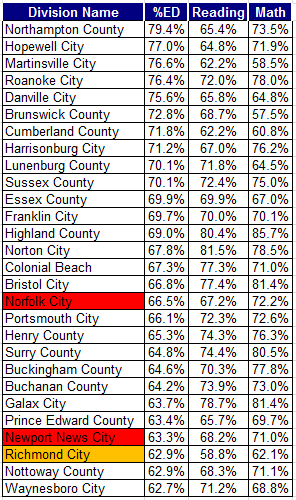 To the point here, Richmond did not outscore any of these divisions on the reading tests and did better in math than only three: Brunswick, Martinsville, and Cumberland. 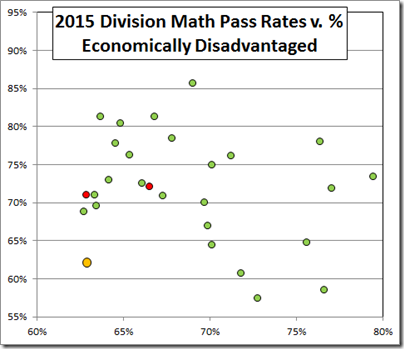 Said otherwise, all Virginia divisions with similar to much larger populations of economically disadvantaged students are getting better pass rates in reading and twenty-four of twenty-seven and are outpacing Richmond in math. 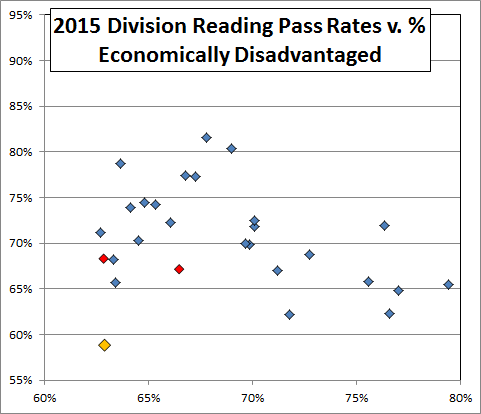 Poverty is not an excuse for the awful performance of our school system.